Event Ignition is a company born of a need to excel. Our very professional team members all have the same things in common. We are driven to create and assemble the most creative and ingenious concepts for your needs. From weddings to brand marketing to parties to corporate theater, from the welcoming message to the farewell we have a need to succeed. After many years in the industry and doing the "vanilla" shows we wondered what that same show would be like with "sprinkles". But why stop there? How about a whole other flavor? As the analogy suggests, your attendees are also used to the routine. What will make this event more memorable and therefore more exciting is an immersive experience that captures the mind and sparks the imagination. Many times the whole point of the event is lost as the attendees follow through to the expected ends. However, if after your conference or event the guests leave with a sense of engagement and unity you have a success story on your hands. Our concept is simple: Most production companies try to push the envelope while our goal is to take that envelope and rip it to shreds! Event Ignition is design and implementation based. We can take a concept and make it reality. You can give us as much input as you feel necessary to be sure your core goals are met. We will present you with a concept or design for your approval and implement any changes you see fit. Our designs are meant to be flexible and can vary in scale. From Weddings to Corporate General Sessions planning is key. We make sure that when we begin a project all the details are covered and leave nothing to chance. From power availability to a rain plan - it all needs to be addressed no matter the size of your event. Event lighting, sound and video is a very important part of your experience and to have a problem in any one of them is unacceptable. That is not what you or your guests want to remember about a special evening. We strive to be your choice in a sea of other options. To achieve this we offer the best customer service experience in the industry. With your needs in mind we will not deliver anything less than our expectations while maintaining a need to surpass them. Underpromise and overdeliver! Event Ignition knows the secret to successful events is the Energy with which they are given. 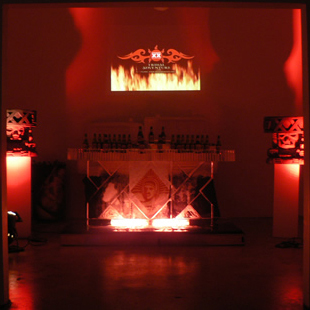 We are driven to provide you with what we know creates the energetic atmosphere your event needs. Our design team comes from an entertainment background. What we have found is that everyone is expecting to be entertained. It is not a far stretch for us to give any event a high powered concert feel or a relaxed party atmosphere. Choice of music, lighting, visuals, slide backgrounds, thematic decor and every last detail define the moment and come together to create a symbiotic experience. Proper production and execution is essential to maintaining the experience. No one likes it when the proverbial record skips! In many ways it is a three ring circus of production. High energy events are our specialty. Corporate meetings or mixers, concerts with A-List entertainment, private parties, fundraisers, weddings and most any event can benefit from an energy boost - Let's Party ! ! ! Copyright © 2017 Event Ignition. All rights reserved.